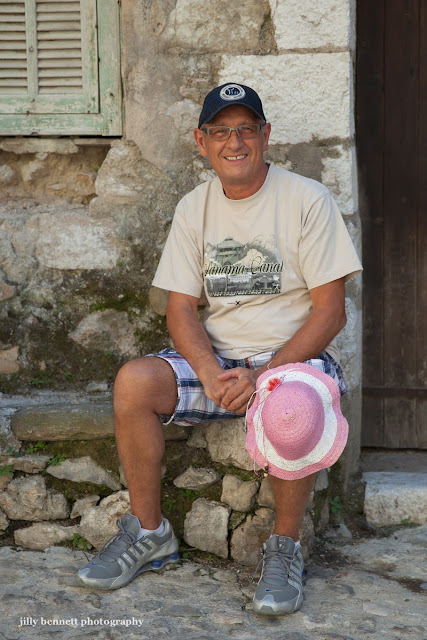 Marcel, a proud grandfather in Gorbio village. Tomorrow we'll find out who the pink hat belongs to! Marcel, un fier grand-père du village de Gorbio. Demain, nous saurons à qui appartient le chapeau rose! He found the perfect place to keep it, didn't he?